The white lamp is pointing to the left. 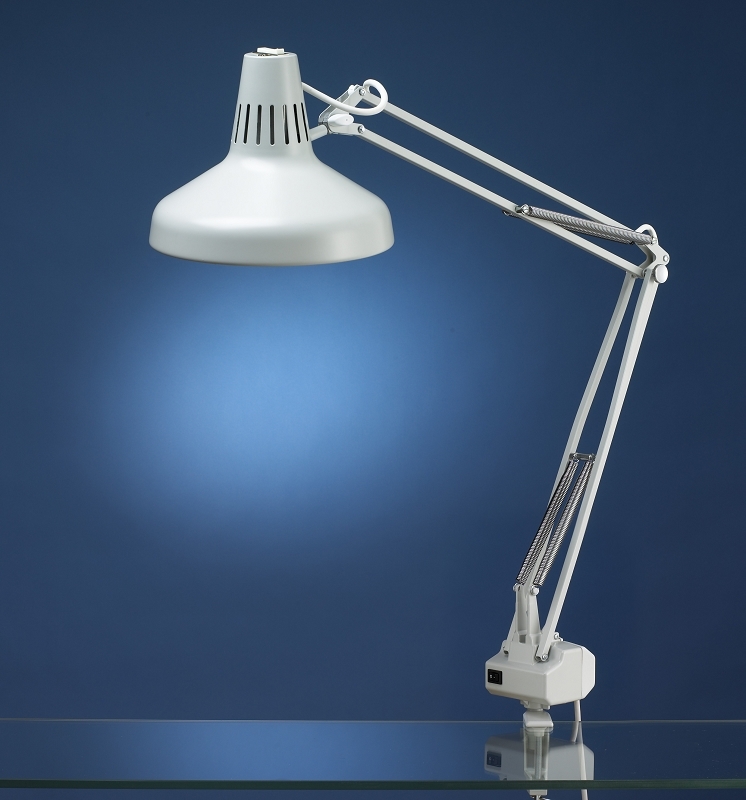 Luxo’s Combination Task Lamp joins classic styling with superior arm technology. By combining a 60-watt incandescent bulb with a 22-watt circline fluorescent tube this combination lamp allows optimum color perception. Bulbs can be operated individually or together using a 3-way switch. Inner insulating reflector and venting louvers help keep the 9-1/2” diameter shade cool to the touch. 45” reach spring balanced arms available. Clamp-on mounting bracket and 6’ 3-conductor cord set standard.